Handloom Store Software for Handloom and Handicraft Items to manage billing, customers, loyalty, inventory and accounting with ease. Handloom in one of the well-skilled industry, most of the products are prepared by hands in an artistic way. But the major challenges they face are updating to technology, input support, marketing, the gap between store to manufacturers etc. Just billing handloom store software is built with advanced technology in a simple way which can understand by anyone to use it. As there will be many suppliers and we need to repeat the business. Just Billing handloom store software let on to list the details of suppliers and it makes purchase order process easy. It also provides the reports which helps to forecast the performance of the business. Marketing also one of the important aspect a business need, you can send special offers and discounts via mail or SMS to customers with this handloom store POS software. For handlooms, there will be large numbers vendors and need to have a proper mechanism to record like price quotations, quality of work, contracts, capabilities, products supply etc. All these details have to be kept in a systematic way. So that, we can check and place the orders whenever required. Though there are a lot of readymade products, customers always prefer to modify them according to their taste. In Just billing you can note down each and every point suggested by a customer for the product and have a record for it. So no error occurs while implementing it. As there will be a lot of raw materials and intermediary products we buy from local sellers. All these can record in handloom store billing software so that you can easily calculate the cost price for the product and determine the selling price to get profit. During festivals, handloom products demand will be huge. To attract customers, we need to provide discounts to get a competitive advantage over others. Just billing allows you to create various offers, discounts with different price catalogs. Know the products on which customers showing a lot of interest and having high sales. Just billing sales reports show you what are the products which are selling most. It gives a better understanding of the demand and places inventory respectively. Providing different payment methods can make customers work easily. As many digital wallets companies providing offers, people are showing interest in cashless transactions. Business analysis reports incredibly useful to business, especially to forecast the performance. Reports always measure the growth, business progress, sales etc which help us to track and solve the issues. 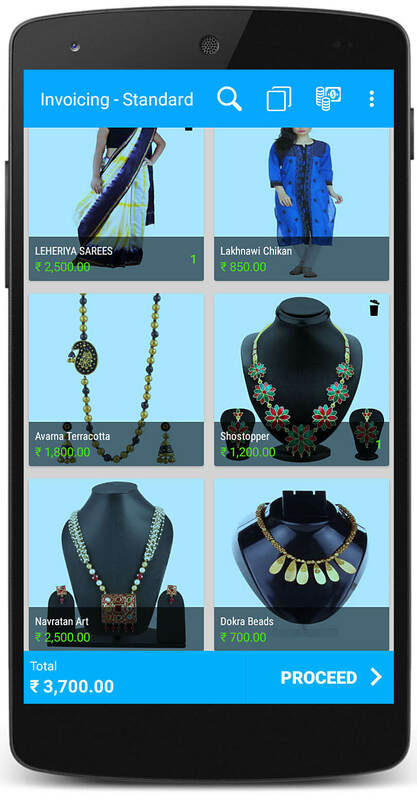 Just billing is blockchain enabled handloom store software which gives 100% security for data and payment details. Each and every detail will be secured in the cloud and no one can open it without credentials. Download and follow simple steps to setup Just Billing Handloom Store Software.